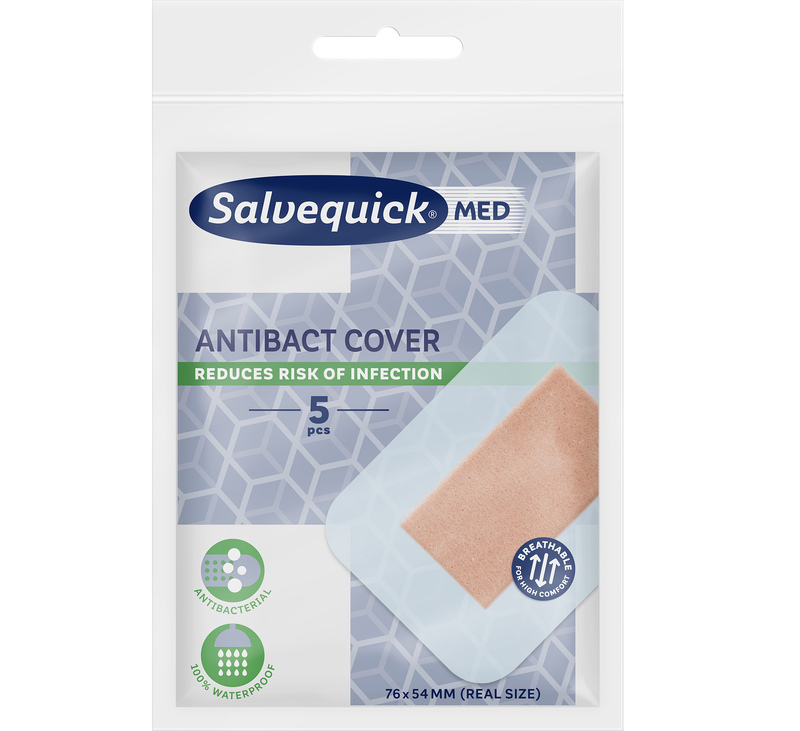 Salvequick Cover series are large and more advance plasters that are suitable for medium to large wounds, such as superficial surgical wounds and abrasions. When normal plasters are not enough, simply put. Available in two different sizes (XL and XXL) and stay in place securely thanks to adhesive on all sides. Aqua Cover – An ultra-thin plaster that allows the skin to breathe while being a 100% waterproof. 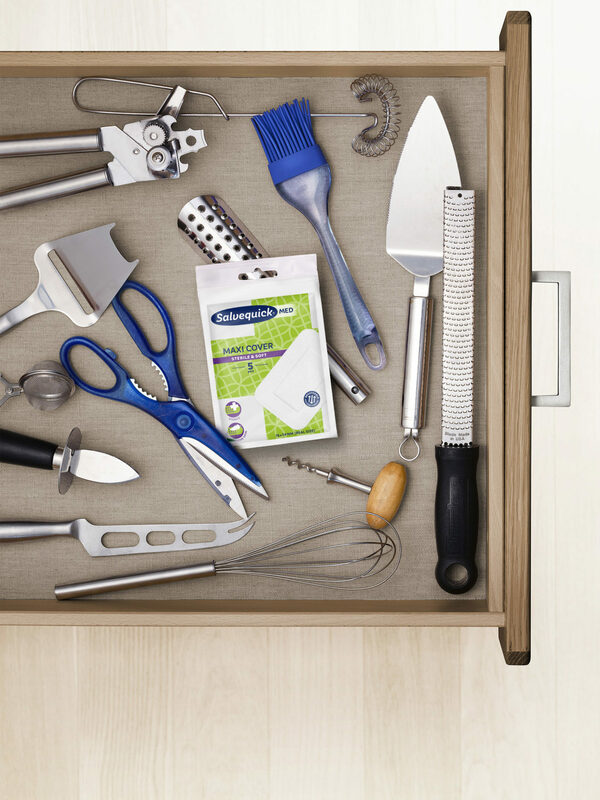 It completely protects the wound from water, dirt and bacteria. The plaster creates optimal conditions for faster wound healing and reduces the risk of scarring. Maxi Cover – A sterile plaster made in a soft and highly breathable material. 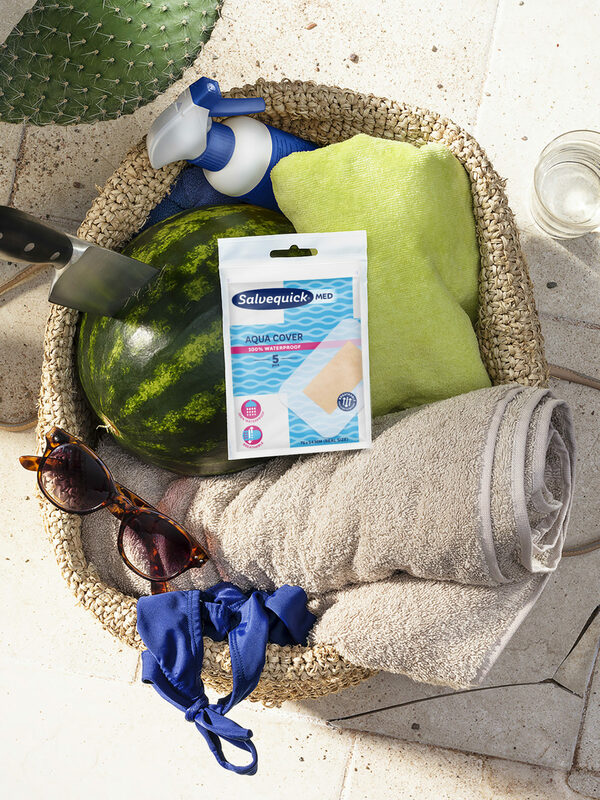 It protects the wound and stays in place securely thanks to adhesive on all sides of the wound pad. One of our most popular products in pharmacy. Anti-Bact Cover – An ultra-thin plaster that allows the skin to breathe while it is 100% waterproof. The Anti-Bact compress contains an antibacterial substance that helps to reduce the risk of infections. The plaster creates optimal conditions for faster wound healing and reduces the risk of scarring.